Totalsports - be inspired! 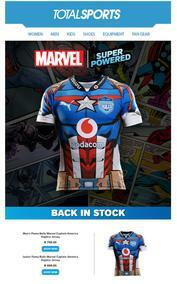 Totalsports are the premier sportswear destination in South Africa, sport is in their blood and there is no escaping it! Totalsports endeavours to provide the avid sportsperson superior products and unbeatable quality for all sporting requirements. Their key sports focus areas include soccer, running, fitness and rugby, ensuring quality sportswear, footwear and equipment are available to all. Running and fitness: A wide range of fitness and running products such as running shoes, shorts, pants, crop tops, backpacks, sunglasses and other accessories are available at Totalsports stores. Contact sports: Totalsports offer a range of durable clothing and quality accessories for contact sports such as Rugby and Soccer. This includes shorts, socks, shirts, soccer balls, rugby balls, studded shoes and many more quality products from leading sports brands. Technology: Totalsports offer a range of technology products which are used to assist the sports enthusiast excel. These include a range of GPS solutions for the cross country cyclist, heart rate monitors, garmin watches with built-in accelerometers and many more sport technology products. 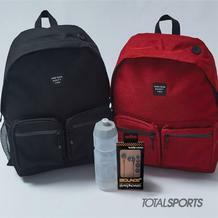 Totalsports stores also offer a wide range of products complementing activities such as cycling, swimming, indoor sports, yoga, tennis and more. There are over 100 Totalsports stores nationwide as well as throughout Africa in countries such as Namibia, Botswana and Zambia. All stores offer great specials and deals throughout the year, so keep a look out! At Guzzle, we endeavour to bring you only the best sports specials and deals and that is why we showcase affordable, quality Totalsports products. All deals are advertised via Totalsports catalogues which can be found both online and offline, so get browsing now!